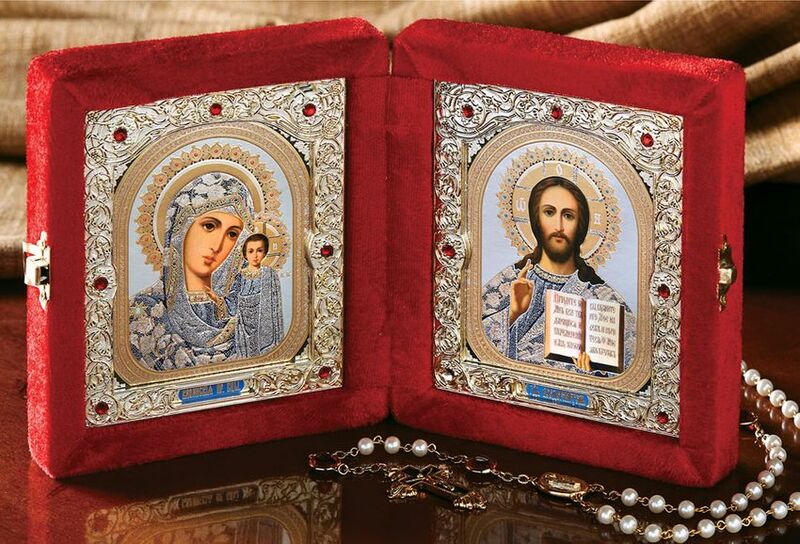 This diptych features traditional Orthodox style icons of Christ the Teacher and the Virgin of Kazan with detailed gold-colored metal covers, set in an attractive plush velvet case that can be easily folded. Great for wedding, travel or home display. SIZE: 14" wide (open) x 8 1/4 " high. Velvet color may be different.